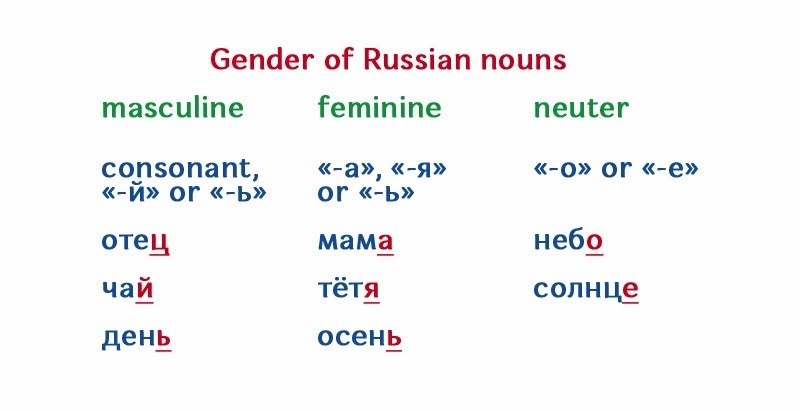 ABC Russian: How to determine gender of the Russian noun? How to determine gender of the Russian noun? Russian words are divided randomly into three groups. We call these groups “genders” because there masculine, feminine and neuter group. How to determine gender of the Russian noun? That’s not so difficult! You can usually determine the gender of a noun by its ending. 1) Nouns ending in consonants / й / ь (soft sign) are masculine. 2) Nouns ending in -а, -я, -ия/ ь (soft sign) are feminine. 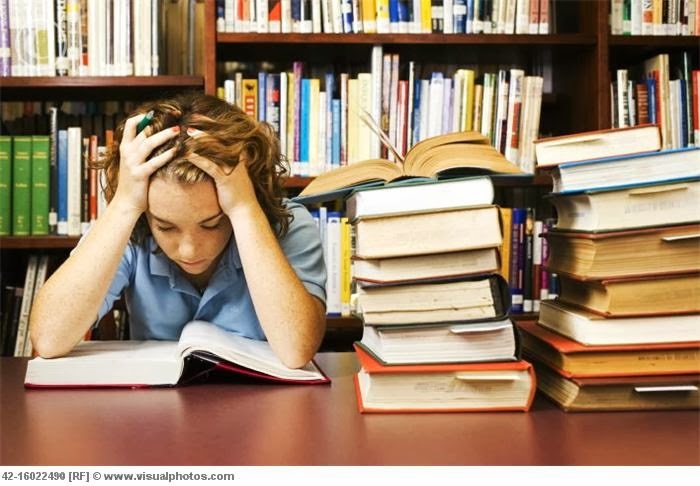 3) Nouns ending in -о, -е, -ие , мя are neutral. So, I think that everything is clear. The only ending “shared” by more than one gender is the soft sign (ь). Tips: To determine gender of the Russian noun find the nominative singular form of the noun in your dictionary. All dictionaries list nouns in the nominative singular form (except for nouns that are always plural). Is my explanation clear? Please feel free to ask questions.